Are you looking to get into the fastest growing industry in the USA? Are you aware Oregon is not issuing any new marijuana licenses? 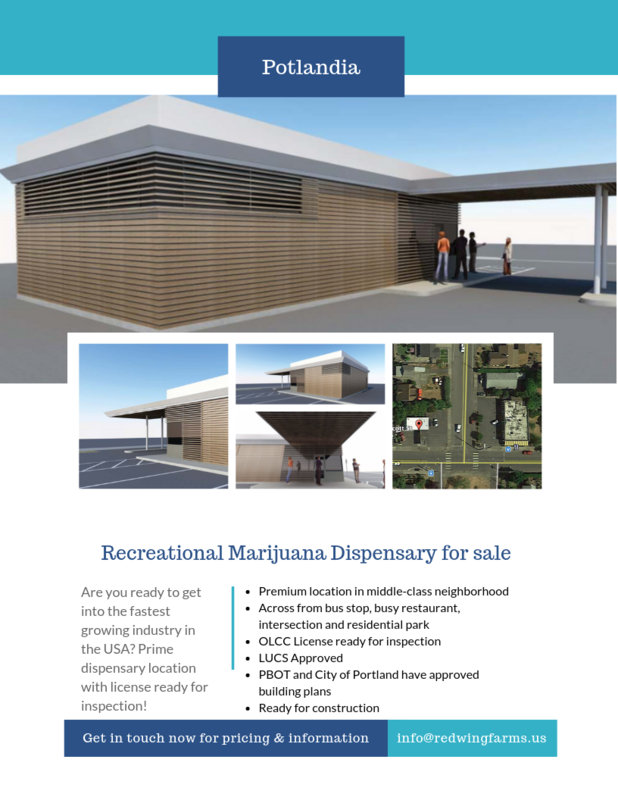 Dispensary project available. Current license application status "ready for inspection". Can be open in 3-5 months. The only delay is finishing the construction remodel. $200k to take over the project as is. Construction can be complete for $100-150k. A licensed contractor has pulled active permits on the property. CONSTRUCTION IS READY TO START NOW! Location can be open in 3-4 months. Option to purchase real estate for an additional $500k.